Pioneers in the industry, we offer garden umbrellas and promotional umbrellas from India. Being a client centric organization, we are engaged in manufacturing, supplying and exporting superior quality Product Logo Garden Umbrella. These product logo beach umbrellas are popular among the patrons owing to their durability, robustness and quality standard. 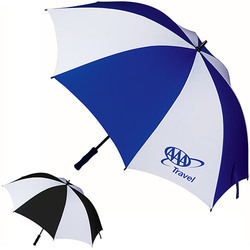 We are recognized in the industry for offering an extensive range of Promotional Umbrellas. The offered promotional umbrella is used in corporate, formal and informal organizations. 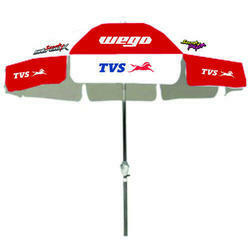 We offer our promotional umbrella in varied sizes to meet the individual needs of our esteemed patrons. Our offer promotional umbrella is provided at affordable prices in a bulk quantity. Looking for Promotional Customized Umbrella ?